Cobra has come out with a new set of irons in their new F7 series of clubs and they were kind enough to allow Busted Wallet a sneak peek before they came out on the US market this year. Last year, Cobra let us try out their popular Cobra Max lineup of game improvement clubs which we really liked quite well. This year, Cobra lets you choose your own adventure with the F7 line of game improvement irons and hybrids. You can choose from either the traditional F7 clubs with the traditional varied length shafts or the one length irons. Although not a new idea, Cobra is now offering their first ever set of clubs that are all one length and they are the only major manufacturer of golf clubs testing the waters currently with a one length set of clubs. The idea behind the one length is that one length means one swing slot and one swing should improve consistency. The driving force behind Cobra’s one length idea is Cobra’s new PGA Pro Bryson DeChambeau. Bryson was looking for a club maker to design his one length club philosophy he began back in 2011 and he found a partner for that in Cobra. In researching the One Length Irons I wondered what length the clubs were. Cobra’s response was that the length is 37.5″ with a 62.5 degree lie. This is a 7 iron which Cobra believes is a golfer’s most confident iron. A 7 iron happens to be the iron I am most confident with so that works out quite nicely! Well, let’s dive into the details and see what these are all about. Cobra’s F7 One Length irons utilize TECHFLO construction which varies the construction through the progression of the set from long to mid to short and specialty irons with full hollow, half hollow, cavity back, and solid wedge specialty designs.  This delivers the best performance while keeping forgiveness at the forefront. Cobra also has developed the Powershell face to improve distance while keeping maximum forgiveness. The clubs are specifically engineered differently than traditional clubs to be weighted the same throughout the set. The long iron club heads are lighter with a heavier shaft and the short irons are the opposite. Cobra offers the set in either stiff or regular flex and steel or graphite. The graphite also offers a lite flex. The steel shafts are True Temper King F7 and the graphite shafts offered are Fujikara Pro 63i. The One Length irons come with Cobra’s standard Lamkin grips but this time in a cool blue color with a red cap instead of plain old black, perfect for Chicago Cubs fans. It has nothing to do with performance but I like a little subtle flash so the grip colors are a plus for me. Cobra offers two options for you in this setup. You can go straight irons or do a combo iron / hybrid set. The iron only set includes irons 5-9, PW, and GW. The combo set has irons from 6-9, PW, and GW with a hybrid 5. The combo set will cost you $100 more than the iron only set. The really nice thing about this is the choice. You can also choose the traditional F7 varied length package or the One Length set and they are both the same price. You would think the newer One Length technology would demand a premium in price but no, which is nice. Cobra’s theory behind the One Length Irons is that the lengths between the long and short irons provide room for error in your swing. With the one length irons one can focus in on one stance, one setup, and one swing. The name of the game here is consistency. I don’t really care how far I hit my clubs, if I could gain better consistency in my shots. I’m not saying you will have to trade off any distance though. In my experience with the clubs you will not. I believe most golfers like myself who only golf recreationally during the summer month could really use anything to increase consistency and simplicity. There are enough variables in the game as it is. Cobra is trying to remove at least one of them for us. So how do they feel? Personally, the biggest difference I felt in just holding the club before swinging was in the short irons. With these clubs, especially the PW and GW, you are much more upright than you used to be with the club being longer. I liked the feeling quite a bit. I will say it has taken some practice to start to get used to though. With the wedges, I did take some bigger divots out of the ground my first few practice swings. However, once I really focused on the same swing plane throughout the set I was doing much better. Did this set magically make me next in line for a tour card? Absolutely not. But, this is certainly an interesting concept that I think will gain traction. So do these clubs have the same carry and distance as a traditional set of clubs? With the one round of golf we squeezed in before the snow and three range sessions under my belt here is what I’ve found out. First off, I would not recommend heading straight for the course without any practice time on the clubs or any new clubs. Of course that is what I did because I was excited to try them out. Like I said earlier, if I can gain consistency and sacrifice some distance that is a trade I will make everyday. Turns out I did not lose any distance when compared to traditional irons in my experience. I do really enjoy the feedback these irons give you. If you do not hit the sweet spot on the club face you feel it. After all, I am TRYING to get better so when I really do hit it well I’d like to know. On your mishits you do still benefit from a nice amount of forgiveness and distance as promised. When you do hit that sweet spot you instantly feel it launch off the club face and it sounds different as well. That is Cobra’s Powershell face going to work for you! Since it’s about 16 degrees outside around Busted Wallet Headquarters we decided to get some warm and indoor simulator time in with the One Length Clubs for some hard evidence for you to consider. I directly compared above my traditional 6 iron to the Cobra One Length 6 iron a six shot average with each club. On average, I hit a 6 iron about 160 yards. You can see above my results were in fact more consistent with the One Length with a 37 yard high / low yardage differential and a 51 yard high / low yardage differential on my traditional 6 iron. On one swing in the simulator where I really hit the sweet spot with the One Length the simulator registered as 179! I’ve never hit a 6 iron that long so maybe that is a computer error but I did feel great about that swing before the computer results came in. My average with the One Length was right at 160 yards. The 6 iron was the only club I had an abnormally high yardage on the simulator. 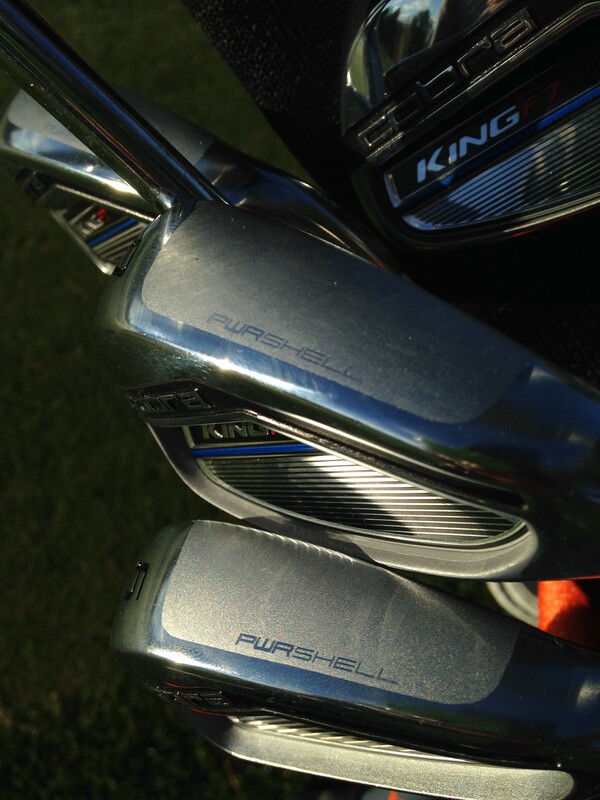 All other irons throughout the set where right near my average yardages. Consistent golf is every golfers goal and Cobra’s new One Length iron’s are designed for game improving consistent golf play. These new irons can help make your iron game simpler as well. One stance, one setup, and one swing for your irons is Cobra’s theory and we at Busted Wallet are buying into it for sure. These clubs are available for purchase in the US on January 13th 2017. You can pick yourself up a set of these irons for $699.00 or you can get a combo set for $799.00. If you are really trying to get better or make the game of golf more fun give these a try, the value is there. If this is still pricey for you. Maybe wait until the end of the year, I’m sure there will be some deals out there Fall of 2017. The Cobra One Length Irons a great concept to help improve your golf game and make it more consistent. You cannot buy them until 1/13/17! Working most of my life in and around the construction industry from residential to commercial let's just say I know not to hold a nail for someone else to pound, and I guess some other stuff too. I'm excited to help the Busted Wallet team test and review all things construction and home improvement related as well as what may make the everyday man's life easier or better. I hope you enjoy my bad jokes and find what I have to say helpful! I have been playing Cleveland blades for years and decided to test drive new iron sets that are similar to blades but with a little more weight in the head. I was fully expecting to walk away with a set of Ping i200s. After trying almost a dozen different models, I am down to two (Cobra King Forged same length, or Mizuno JPX 900 forged. The Mizunos were dead on straight with almost every swing but the feel was pretty hard. For a forged head, I was expecting something a little softer. The Cobra forged same length was a lot of fun. I think I will pick up a set of Cobra’s and later in 2017, I can pick up a used set of JPX to add to my arsenal. I just got these and am loving them. I’m currently a 6.6 handicap, and a healthy former college athlete and 47 years old. I generally hover between a 5.3-6.9. I have had the Callaway X16 pro and Burner 2.0 and like them both. I have been looking for more consistency and these seemed to make sense. I hit a few hundred balls on the range in 2 days then went to the course. I hit (5-Gap) more consistently than I’ve ever hit any iron since I’ve started playing golf in 1983!! The distances are.the same for me, except the 5 iron seems to be about 5-8 yards shorter (about 185 vs 190). I can live with that. The confidence at set up is amazing and I think it is one of the main reasons for the consistency. And I hit them high. Try them! !